Save $170 on a Core i5-6600K, RX 480, and two games. So this is interesting. Proving that yes, we can all just get along, AMD and Intel have teamed up to offer gamers a pretty sweet deal on a hardware and games bundle. 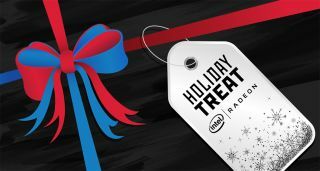 "Radeon has joined forces with Intel to serve up a compelling, limited time holiday bundle through Newegg that delivers the excellent power efficiency of Intel’s 6th Generation Core-i5 6600K CPU with the powerful, future-ready performance of the MSI Radeon RX 480 Armor 8GB OC (overclocked) video card," AMD's Jason Evangelho announced on the company's Radeon Technologies Group blog. AMD is hoping to restore parity in the processor space when it releases its next-generation Zen architecture next year. If Zen had already launched, it would be tough to imagine AMD promoting a bundle with rival Intel, but it hasn't launched yet and so here we are. The bundle sells for $450 and includes the CPU and graphics card mentioned above, along with two free games, Civilization 6 and Doom. If purchased separately, the tally would come to a few pennies shy of $620. The savings add up to about $170, plus there's a $15 mail-in-rebate available (courtesy of MSI), bring the total saved to $185. Even without factoring in the games, the bundle saves buyers $50 upfront over buying the CPU and graphics card separately, plus another $15 when the mail-in-rebate arrives. So, it's a pretty good deal no matter how you slice it. The deal runs until December 31. You can grab the bundle here.